This is Part I in a series. All screenshots showing award space are reflective of the day posted. Every summer thousands and thousands of tourists migrate over the Atlantic ocean and flock to European cities. 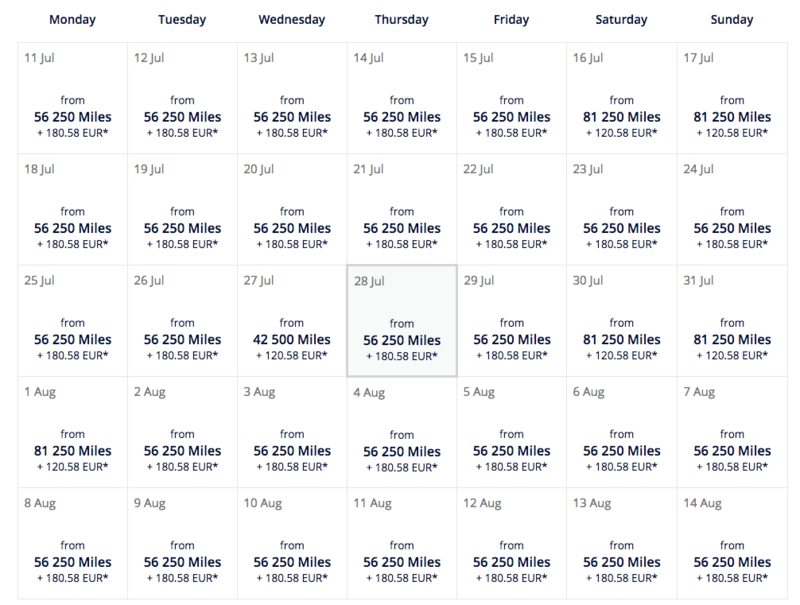 Though the ideal time would have been September 2015 to start looking at summer to Europe award availability, sometimes it’s hard to know summer schedules so far in advance. Can we find any available now? This week we’ll be looking at a few of the interesting Top 10 Trending European Summer destinations according to Kayak. 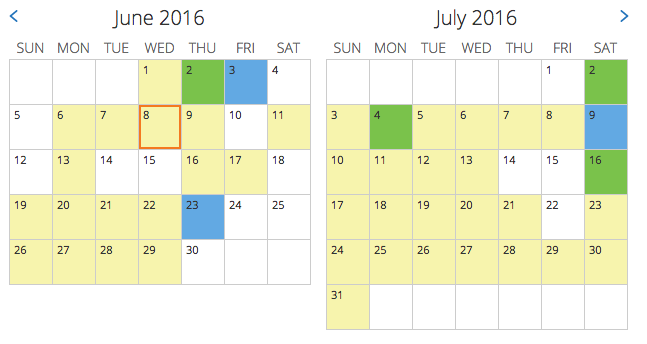 The peak months of travel to Europe, June and July will be examined. NYC will be used as the departure location as it has hubs for all the airlines; plus it is geographically the closest location to Continental Europe. Here are redemption prices to Europe. All values are roundtrip and in the thousands. Overall, Star Alliance has the most options for getting to Europe from the U.S. United miles are really excellent option as they never pass on fuel surcharges. If you are going to leave from Europe, avoid London and other London-area airports at all costs. Fuel surcharges range between $150 – $300 depending on the class of service. Sometimes it will make sense or be necessary to book two one-ways. Practically, this means you’ll lose that stopover. In terms of business, they are also pretty standard, but if you want to avoid fuel surcharges, that usually means when redeeming Star Alliance miles you’ll be limited to United flights and the occasional SAS, Swiss and Brussels planes. 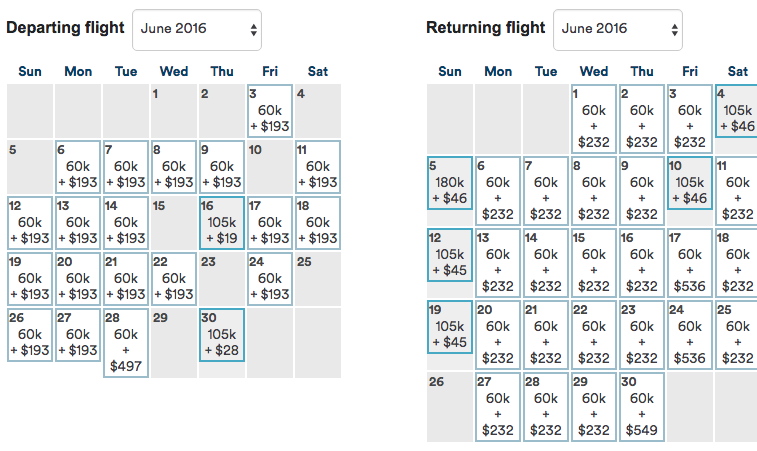 Lufthansa, with the exception of booking on united, can run $300+ in fuel surcharges. If you’ve been saving those Delta miles, business class to Europe represent a great redemption at 62.5K one way, 125K roundtrip. You can fly on solid partners like Air France, Alitalia or Virgin Atlantic. Need a refresher on which points transfer where? See here! 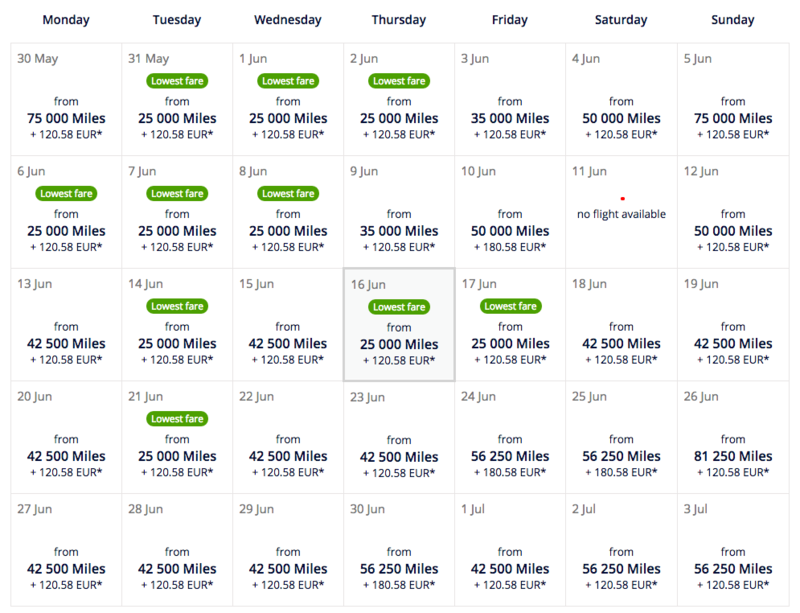 When flying One World partners to Europe, your best bets are on Finnair (connecting in HEL), Air Berlin (connecting in TXL), Iberia (connecting in MAD), or going direct on American. In my experience, American and Iberia have the best availability. Finnair rarely has more than 1 seat. (Also, for Dublin, going direct is the fastest option). Availability is not so good for the outbound, but there’s some decent availability for two passengers in coach coming back. How about business? 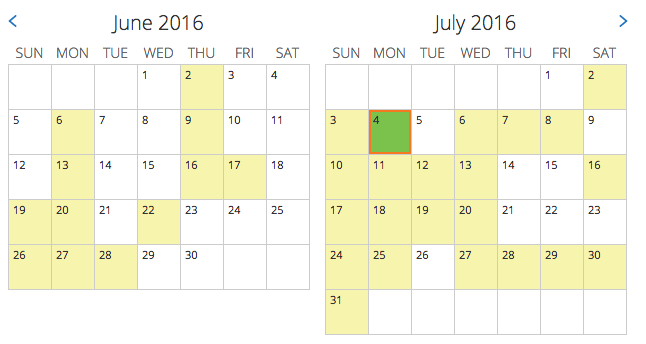 Not one day in either direction for June or July. Pretty standard for American. No business class seats for two passengers in either month of June or July. 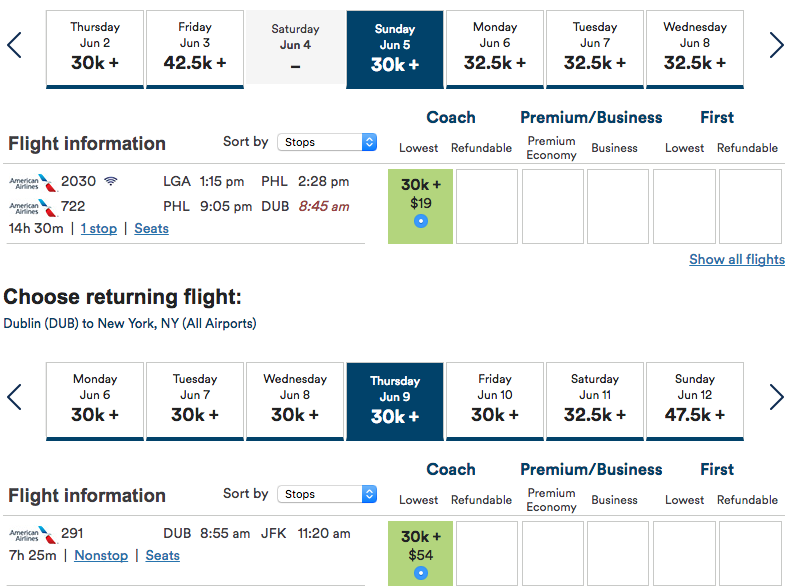 To be thorough, I checked for direct flights from JFK to Madrid and Berlin (so on Iberia or Air Berlin), to then connect to Dublin–No business class seats either. Not surprising. Specifically for Dublin, United is non-alliance partners with Aer Lingus, the flag carrier of Ireland. They have a solid business class product and are a fun airline to fly. Maybe we’ll have more luck! And for the way back (I’ll spare you a screen shot) there is currently tons of premium and coach space. Less when you want to go direct, but still better than I expected. Overall, Star Alliance looks pretty good! There’s decent availability (you may just need to scroll down!) on a lot of the connecting flights in both directions. Not as much premium space, but some if you can be flexible. There are no direct flights, but there’s some availability via Paris. 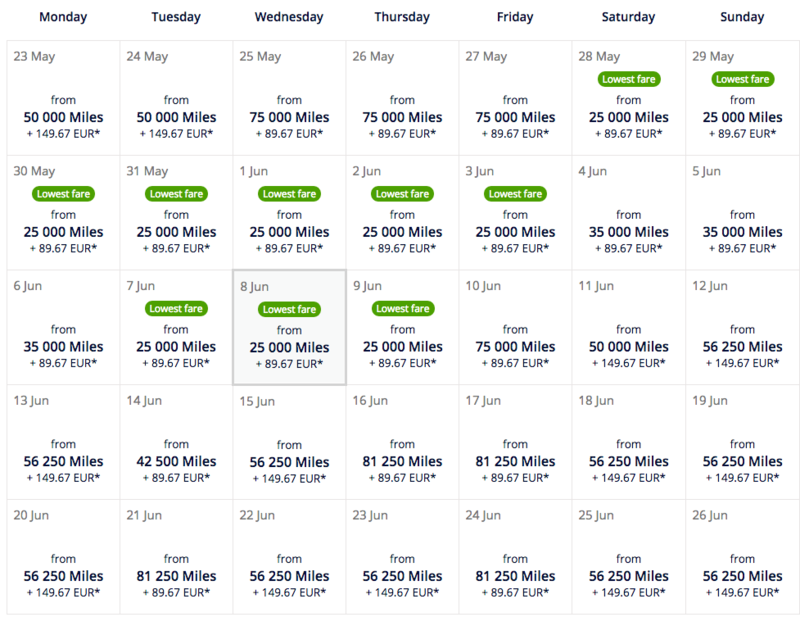 For June, there’s plenty of options to go back… But be wary of the fuel surcharges. Not as good as June, but still via Paris for July. Unfortunately there are no direct flights on Delta from the U.S. to Dublin, but there are options to connect via Paris or Rome. You’ll run about $200 per passenger (roundtrip) in fuel surcharges. 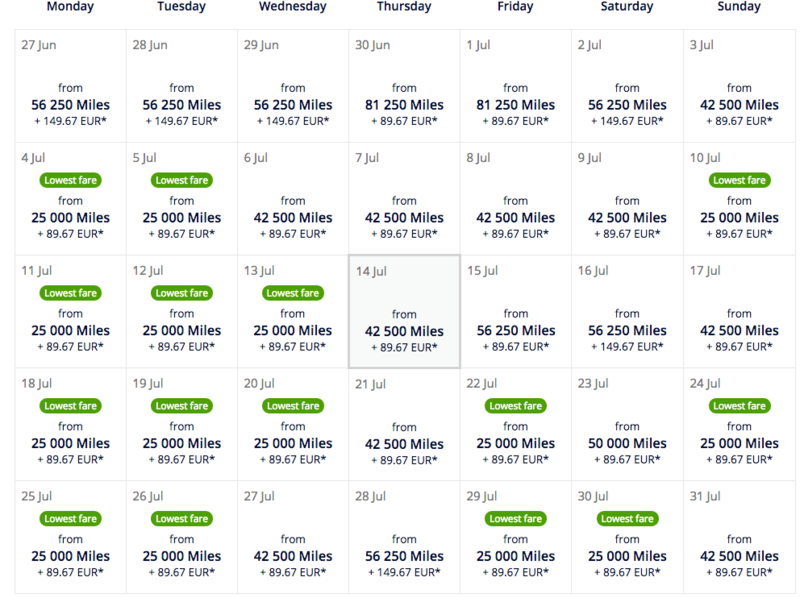 As you can see, there are no saver flights in July to return from Dublin. Have fun living there. And as far as business goes, you’ll pay almost $400 roundtrip in fuel surcharges. It’s not even worth looking at. Please note: I did not search Delta, as they were not pulling up any of these flights. Sometimes Air France shows phantom availability. 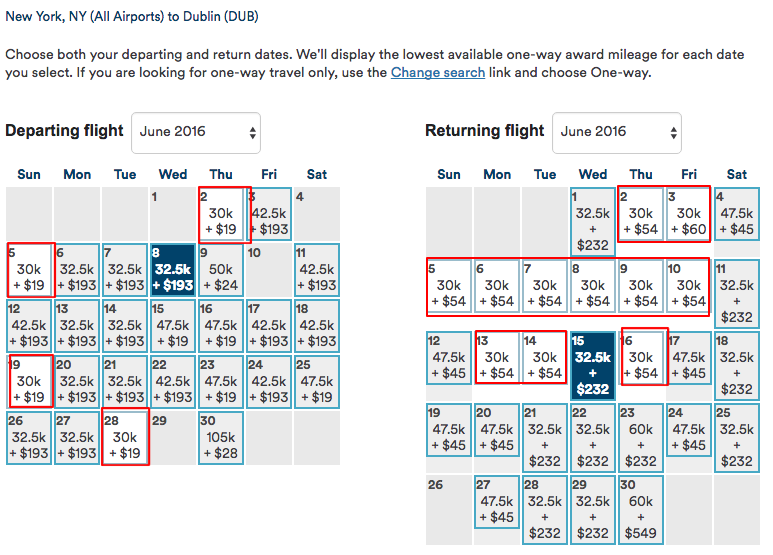 Be sure to click through your date to make sure that flight is pricing out correctly. Alright, I get it, but which miles are the best to use? 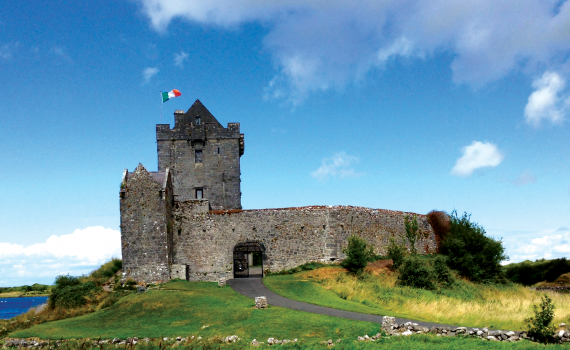 If you you’re willing to go coach (for reference, the flight from New York to Dublin is about the same time as flights from New York to Los Angeles are), your best off using your United miles as you’ll get the stopover and open jaw. If you need to split up because you do not have enough miles, either United or America are good options for either direction (in coach). In business, go with United and Star Alliance miles, preferably on United flights if using miles from Aeroplan or Singapore.